I had this new idea for a weekly post : "Manicure day", I would have chosen a certain day of the week but I don't have a specific day in which I do my nails. It won't be a tutorial type of video since I'm not that good at nail art, I just want to show you what nail polish I like and my attempt at some designs once in a while. 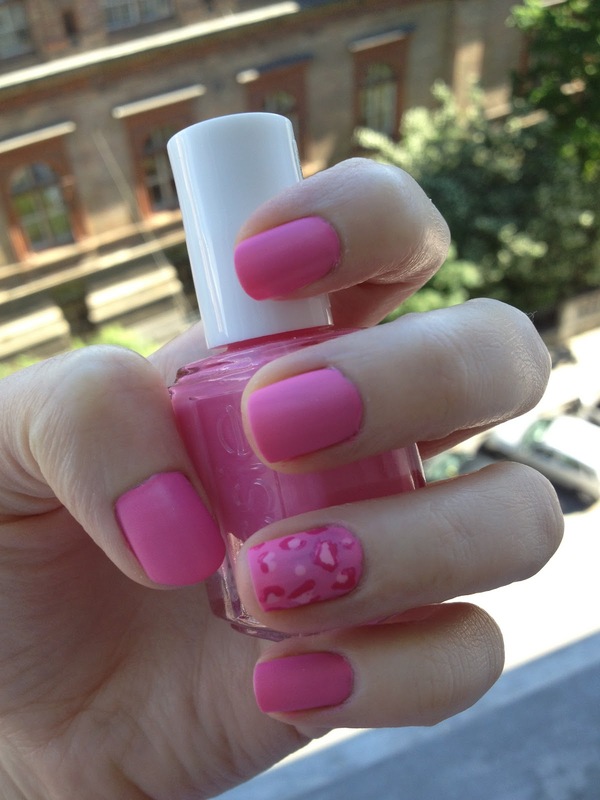 For this week I tried to do a heart shape leopard print all in pink and top it with a matte coat.